The crossover between American Horror Story: Murder House and American Horror Story: Coven is finally picking up the pace. 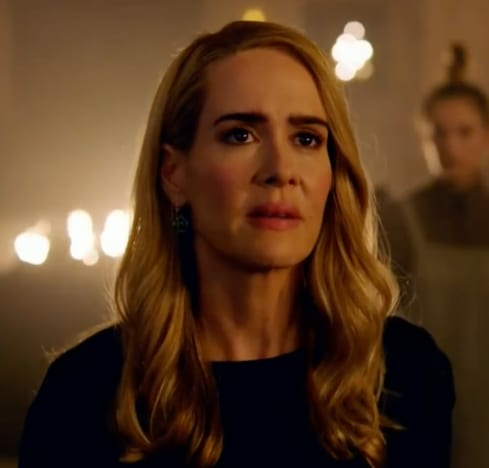 On American Horror Story Season 8 Episode 4, we learn the truth about why the witches have invaded Outpost 3 with the intention of taking Michael Langdon down. If the first trailer for "Could It Be ... Satan?" is to be believed, then we could be in for an exposition-heavy installment that will include flashbacks. One of the scenes teased shows Madison cleaning the floors of what looks to be a store, but she's cornered by Michael Langdon. It looks very Scream Queens Season 2-esque, and we can only imagine what witty one-liners Madison will be hurling Michael's way as he supposedly tries to plead his case to her. Could his meeting with Madison be the reason he's so scared of witches? In any case, Cordelia, Madison, and Myrtle are in Outpost 3 and need Mallory to rise up and fight alongside them. Oh yes, Mallory is poised to be a witch, but what is her connection to the Supreme's coven? That's one of the more interesting questions as we head into this next installment which looks set to give us a whole lot more answers. With Michael and Constance working together, there's no telling what horrors they will inflict on the survivors and the witches. 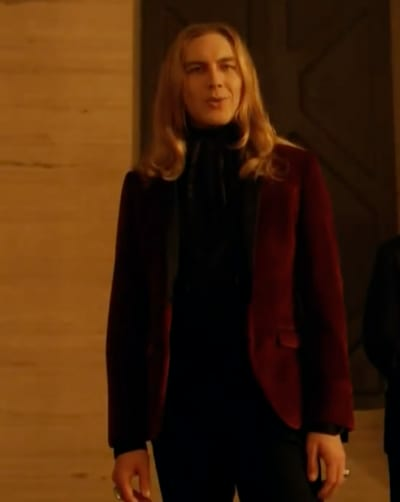 Remember you can watch American Horror Story online right here via TV Fanatic.